Our mission is to help each student realize and reach their full potential and to enhance their lives through the art of dance. 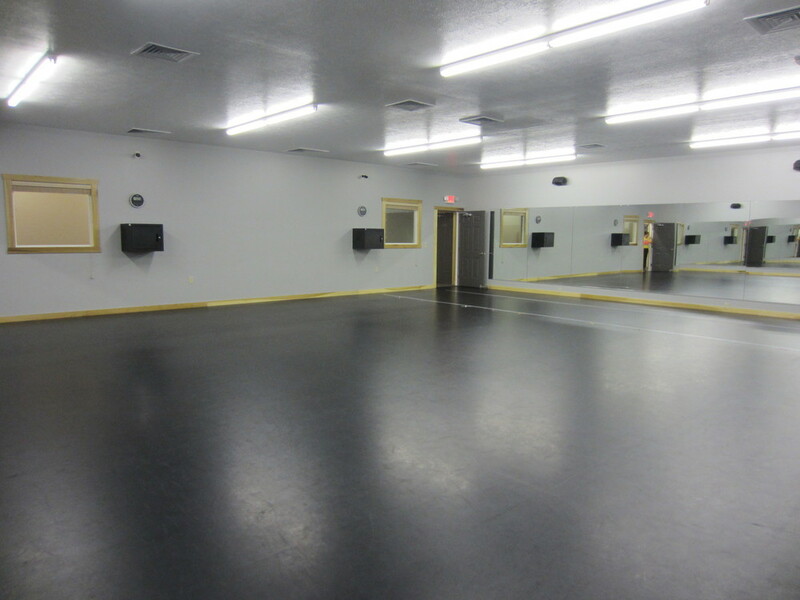 At Turn it Out Dance Academy, your child will get the best dance education in the area. TIO offers quality dance instruction by a professional and courteous staff. 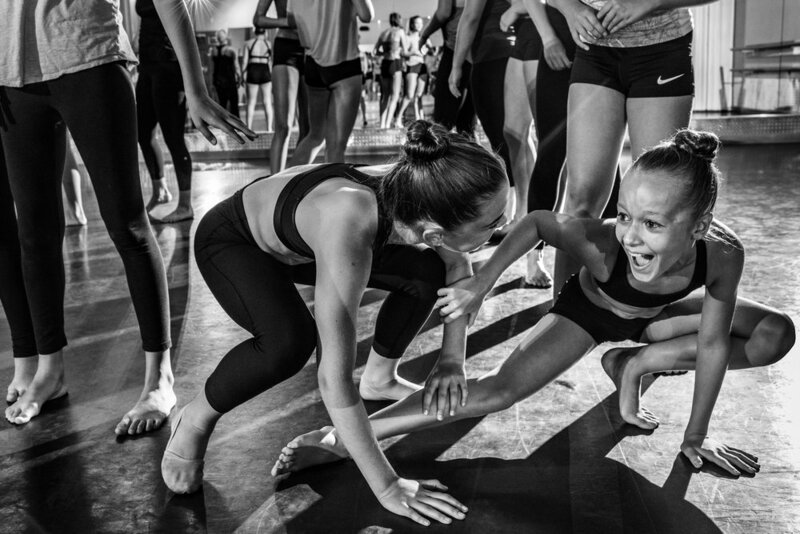 We believe in teaching "how" to dance, not just a routine to perform at the end of the year. Our students learn the importance of proper stretch and warm-up, dance terminology, placement, and positions. We teach proper technique and how to express individual personality through dance. Our goals are to provide the most positive and exciting dance experience, a family friendly atmosphere, and to share our love for dance with the TIO community. By giving your child the gift of dance, you are providing them with an opportunity to learn many important skills that will prove valuable to them beyond the stage: self-confidence, rhythm, gracefulness, self-discipline, coordination, muscle control, body awareness, stage presence, accountability, positive self image, teamwork, time-management skills. Classes available for TIO's recreational company include ballet, jazz, tap, acrobatics, and hip hop. This company is able to participate in the Christmas parades if the student is registered in jazz or hip hop. This program is designed for the dancer who wants to gain poise, coordination, rhythm, and confidence. This company will aid those who find enjoyment in dance and help those interested in cheerleading, drill teams, and all sporting activities. Classes available for TIO's competition company include ballet, pointe, jazz, tap, acrobatics, hip hop, and lyrical/contemporary. This program is geared towards the serious dancer who wants sound technical training and performance opportunities. The company participates in one dance convention and two dance competitions a year. While this team requires more dedication and time, the rewards are immense. This program will especially aid those who have interest in dance beyond high school either to continue on a college team or to become a professional dancer, teacher, or enter a related career. Auditions for our competition teach occur the last weekend of June each year. Every summer, TIO hosts a dance intensive. 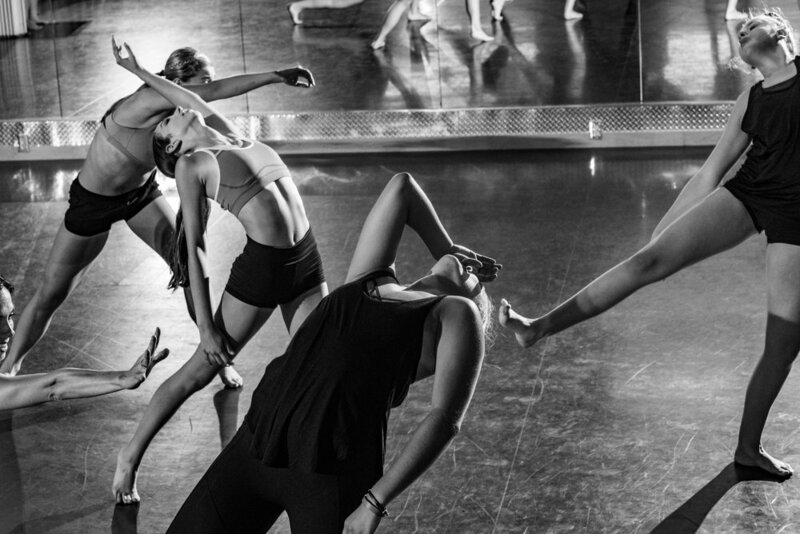 Dance professionals come to our academy from cities such as: New York, LA, Boston, Pittsburgh, and many more. They instruct our local dancers throughout a 4 day intensive. You do not have to be a student at TIO to participate. This provides dancers with a unique opportunity to study closely with current industry professionals. The intensive is scheduled for August this year. More information coming soon! TIO offers a full summer curriculum to all interested students. Students do not have to be registered for our fall session in order to take summer classes. Summer session is 7-8 weeks long. TIO is available to host dance camps for any group or squad seeking extra training. The camp will be specialized based on the wants and needs of the group seeking training. Please inquire at mandy@tiodance.com. This class is designed for students ages 18 months to 2 years old. It is 30 minutes long and is an introduction to acrobatic and jazz techniques. This class helps the young student become acclimated to new environments and teaches them coordination and the fundamentals needed to advance. These classes are offered to students ages 3-4 years. They are each 45 minutes long with the time split between the two genres. These combo classes give the young dancer the basics of each genre in a fun and creative manner. If the student is interested in taking both combo classes, they are offered in back-to-back time slots several days a week for convenience. This genre of dance is the foundation for all other forms. Ballet is a more formal, strict class that develops grace, control, and poise to gain proper alignment and technique. This class utilizes the barre, center work, and progressions to advance the dancer's vocabulary and technique. A form of dance wherein rhythmic sounds are created by the feet. This class will combine center work, progressions, and combinations done to different music and rhythms. A form of dance that is energetic and fun, consisting of unique moves, intricate footwork, big leaps and quick turns. Class emphasis is on showcasing a dancer's individual style and originality while displaying proper technique and alignment. A power tumbling class. Class aims to achieve standing tumbling, as well as power tumbling passes. This class is excellent for those seeking advanced acrobatic tricks for competitive acrobatic dance, cheering, and dance teams. With a ballet base, contemporary dance is new and experimental, combining modern, lyrical, and classical methods of dance. A combination of street dancing, break dancing, jazz, improvisation, and stylized isolation to high energy music. A ballet class done on pointe. TIO is now allowing students ages 10 and up to participate in pointe class. However, the student must start pointe work at the barre, and will remain using the barre until the student is strong enough for center work. In order to take pointe, you must be registered for a ballet class. This class is designed with a warm-up, stretching and strengthening exercises, and cool-down with a goal of increasing the flexibility of the dancer. This class combines dance and fitness moves choreographed to music for an energetic, high-calorie burning workout. Extreme dance fitness integrates light weight training, standard fitness moves, and dance steps for the ultimate workout. It is easy to follow and a ton of fun! Each class 60 minutes long. You pay as you go. Students under the age of 18, must have a guardian sign their release form before participating in this adult fitness class. Mandy has performed in the Radio City Christmas Spectacular for seven years. She was offered the job again for the 2011 Christmas Season, but declined to start a new chapter with TURN IT OUT Dance Academy. Beyond dancing, Mandy has been an adjudicator and master teacher for Dance Xplosion Competition Circuit and Dance Masters. These companies enabled her to travel nationwide to teach and judge some of America’s most talented dancers. Also, she has worked closely with Michele Assaf, a New York based choreographer and teacher. As her assistant, Mandy has learned directing and choreographing skills from the best as they put on numerous professional shows. Assaf’s company – World Dance Movement – hired Mandy as a teacher for their summer convention in Tropea, Italy in 2006 and 2008. Additionally, Mandy has been employed by Performing Edge Dance Academy in the Bronx, NY and Westchester Dance Academy in Westchester, NY for the past two years. In total, she has 25 years of dance experience and 14 years of teaching experience. Mandy left NYC in 2011 to pursue her dream of directing her own dance academy. Since opening in August 2011, TIO has soared in number and recently moved to a brand new constructed building in Bellaire, Ohio. For Mandy, this was just another step in her dream, and looks forward to many successful years ahead. She is excited to bring teachers with professional dance experience to the Ohio Valley. Her heart is behind TIO's mission and is enthusiastic about the future. Lacey started dancing with Dance Dimensions Inc. at the age of 2. Titles won: Teen Miss Dance of Ohio 2003, Placed 10th overall at Dance Masters of America 2003, and Crowned OVAC Queen of Queens 2006. After graduating High School, Lacey moved to NYC to study dance and to pursue her dreams of making it a career. After only 3 months, she landed a job with Stiletto Entertainment in L.A. to perform on Holland America Cruise Lines. She performed with the company for 4 ½ years where she traveled around the world to destinations such as: the Caribbean, Alaska, South America, Africa, Antarctica, Australia, New Zealand, Fiji, Egypt, Singapore, and India. In between her contracts with Holland America, Lacey has spent time in New York City continuing her dance education and training. She has been a judge for Dance Masters of Ohio and choreographed West Liberty’s Dance Team Competition Routine in 2009. In total, Lacey has 22 years of dance experience and 13 years of teaching experience. She is excited to see the years unfold at TIO. With a state of the art of the facility, a highly qualified faculty, and family-friendly environment, she knows the only way is up for TIO!